wjd-store has no other items for sale. 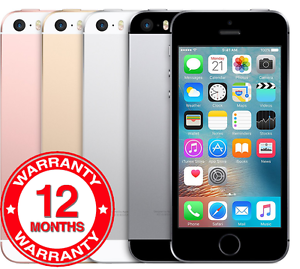 Terms and conditions only applicable for any warranty offered in the item description at the time of sale; it starts from the date of purchase unless otherwise stated. The length of warranty will be stated in the item description. Our warranty will cover the item for manufacturing faults (apart from excluded faults below) which may arise with the item within the stated warranty time period (excluding any battery faults / battery life issues, software or any power related faults which are excluded, we do not cover any of these issues / faults). If a covered fault occurs we will be more than happy to repair / replace the fault / item at our choosing, no refunds will be issued after 30 days. (All you need to do is contact us by email if there is a fault and we will resolve as soon as possible) PLEASE NOTE: Accidental, physical or water damage is strictly not covered. The phone will not be repaired if abuse and misuse has clearly happened. All items are security marked and serial numbers etc. are recorded and will be checked to ensure the phone is identical to that of the original. If the item is physically damaged (example a crack in the screen), tampered with, inspected or opened by anyone else other than us without our consent in writing then the warranty offered will become instantly void. If you notify us of a problem we recommend to stop using the item and you MUST return the item to us within 28 days to prevent possible further damage, failure to do this will result in the warranty becoming void. We under no circumstances accept any devices back with any user information on. PLEASE NOTE: if there is no mention of any warranty in the item description then we do not offer any warranty and this information is irrelevant to the sale. Immediate payment of £129.95 is required. All good - super service thank u!